Wolf River Lawyers has been growing and changing to meet your needs. We are currently located in Dale, Clintonville and New London. New Attorney: On January 1st, 2018, Attorney Mary M. Calder joined us. A lawyer since 1993, Mary started in New London and has spent much of her career in the Winnebago County court system, serving as child support director and family court commissioner. 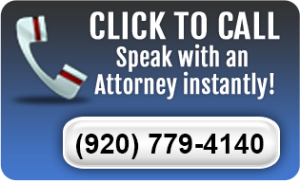 Her practice is focused on litigation, disputes and child support related issues. She brings a wealth of experience and practical knowledge to our firm.